We all dream about happy, trusting, long-term relationships, but it is not easy to build a perfect relationship, like the ones you see in romantic films. Movies are predictable: man and woman meet each other for the first time, fall in love, experience some circumstances that make them fall apart, and then come to a solution that helps them live happily ever after. Real life is much more complicated. Unfortunately, not all couples can save relationships and live together happily ever after. Sometimes couples break up for different reasons. If you and your man are going to break up, we want to help you make the process less stressful. That is why we would like to show you ten tips that can help you get over a breakup. Scroll down to read these tips right now. If you are silent when you should make decisions in a relationship, it can cause troubles. Don't avoid conversations. This person is in the past and you should let him go. Don’t try to call him, don’t send messages and don’t try to meet him. The past is the past. There is nothing worse than ending a relationship over the phone, or even worse, through an e-mail or text message. If you respect yourself, you should end a relationship in person. Don't blame your ex for the failure of your relationship, because you're both at fault. Don’t try to hide your emotions and true feelings. Tell your partner what is really going on in your mind. This is one of the most miserable things to do to a person you once loved. If you have respect for yourself, you will never sink to miserable blackmail. Be honest with your partner about your real feelings. And If you feel that you don’t love him anymore, you should split up. 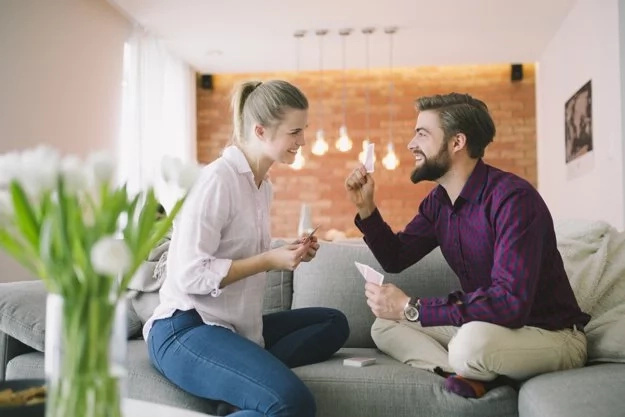 If you are serious about splitting up, you should tell your partner how much you loved spending time with him and why you cannot be together anymore. If you respect your partner, you should think about the conversation in advance. Don’t say whatever comes to mind, as you can hurt his feelings. Sometimes after a break up, people try to show their private life without thinking about their exes. Be respectful and don’t try to make him lose his temper.